This is great for storing small parts and with its short front creates easy access. | George Utz Ltd.
Our SILAFIX Visual storage box is a practical plastic container. Ideal for the storage of small parts. With this container, you can create order in your warehouse and allows quick access to its contents. 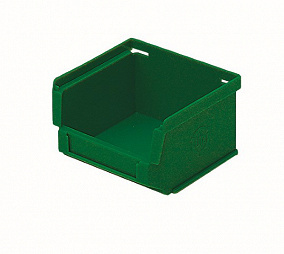 This storage bin plastic in green is availablein the size 90/72x102x54mm.